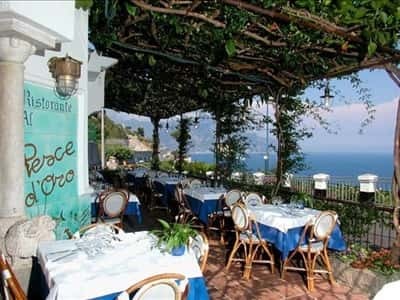 Hamlet of the town of Amalfi and renowned seaside, Vettica Minore is set at the boundaries of the town. Like all other towns of the Amalfi coast, it is characterised by a perfect combination between the luxuriant hills and the crystalline blue of the sea. Here, you can find some of the most picturesque beaches of the bay, such as the beach of Santa Croce and the magnificent natural arch, also known as "The Lovers Arch". The promontory of Vettica is dominated by the XVI century tower, owned for many years to Carlo Ponti, the famous film producer, engagement present for his wife, Sophia Loren. The Medieval parish church is dedicated to St. Michael the Archangel. This town web page has been visited 77,247 times.